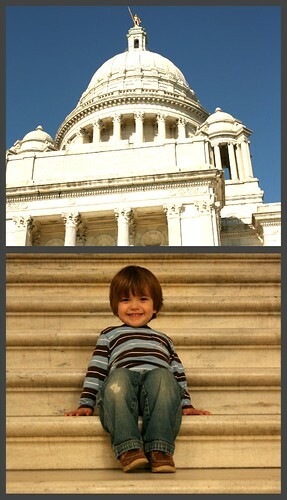 In my early teens, I visited Rhode Island for the first time. My family and I saw Newport's magnificent sailboats, Victorian mansions, and topiary gardens aplenty. We even toured through Hammersmith Farm--the summer White House of JFK. I remember first seeing the Atlantic Ocean and being disappointed. It was gloomy and gray, and as a 14-year-old still obsessed with bottle-nosed dolphins, I didn't see a single one jumping in its wide expanse. I was absolutely positive that dolphins frequented the Atlantic more than the Pacific. Oh, well. A career in marine biology wouldn't have worked for me anyway. It wasn't until last Friday that I saw Rhode Island again. Providence didn't disappoint. We got to see a brother-in-law, who was in town for a conference presentation. We ate at the Cheesecake Factory...the fish tacos and the red velvet cheesecake were ALL MINE. We shopped at real stores again. 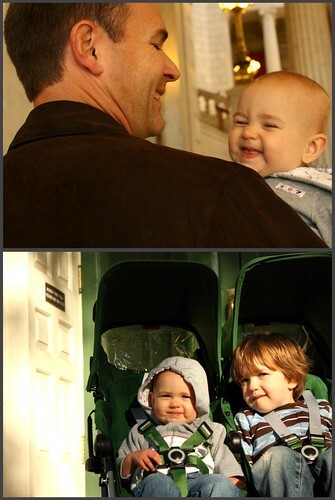 As usual, the kids were the beneficiaries. The pretty teal coat on sale at H&M could have been mine if only they had my size in stock. 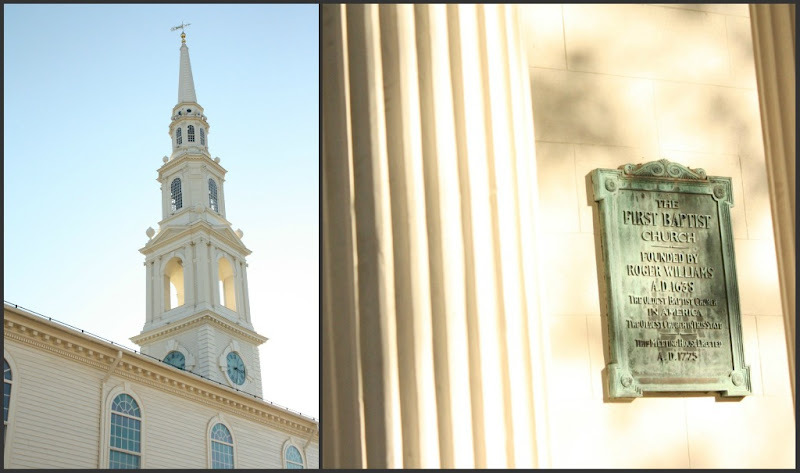 We walked the Providence Heritage Trail and saw the Oldest Baptist Church in America. We passed by protesters of Occupy Providence living in their tents. 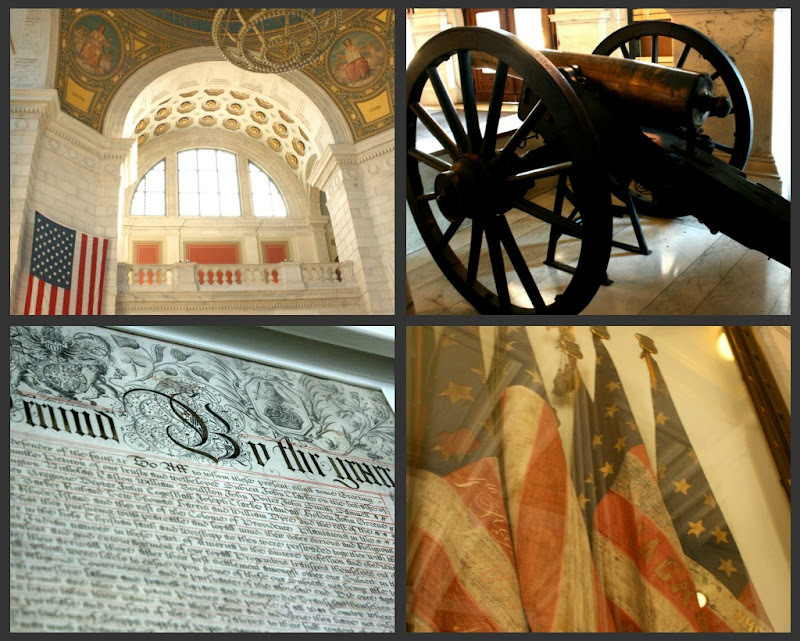 We saw a cannon and U.S. flags from the Civil War inside the beautiful Providence Capitol building. We topped off the trip with a visit to Trader Joe's on the road back home. My visit to TJ's could have been delightful if only their Christmas merchandise was available. What? No Peppermint Joe Joe's yet? Shut up. Our year in Indianapolis truly spoiled me. It's gonna be a cold, long, hard winter. 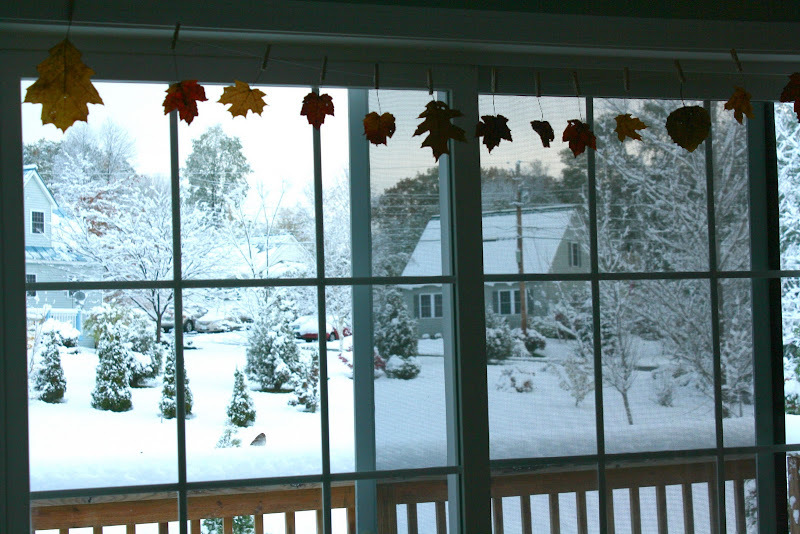 We came home in time to get our first snow of the season. You better believe that our winter has officially begun.